Lately our weekends have involved some kind of home project-big or small. 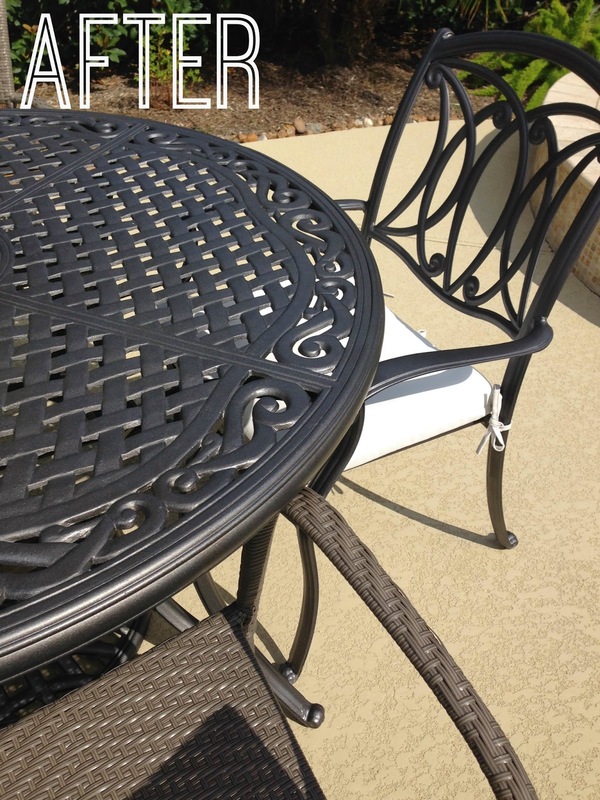 As a lot of you know I've been on the hunt for outdoor dining furniture and still haven't found a 60" round table that I can have STAT. We went all summer with only two chairs and with cooler weather here there was no choice but to add a couple more chairs to our mix so we would all have a place to break bread. I ordered two stackable chairs here that will tie us over until I find exactly what I want. Yes, I know they don't match or even flow with what I have going on (don't judge) but they were on sale, they are stackable and will be great for extra seating. Plus they are gray and will tie in great with our next set. As you will see below our table & the two matching chairs needed an overhaul. 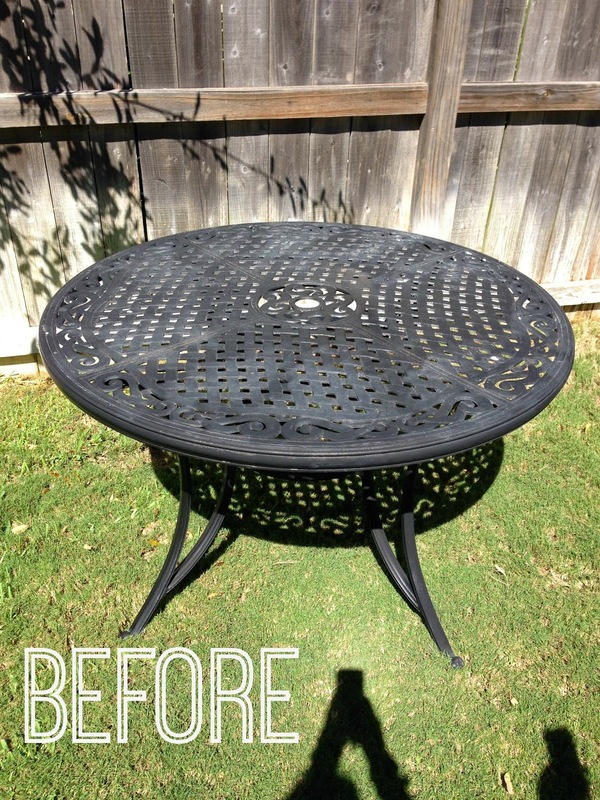 We headed to Home Depot to pick up 4 cans of spray paint and in a couple of hours we had ourselves a brand new outdoor table, chairs and three lanterns. 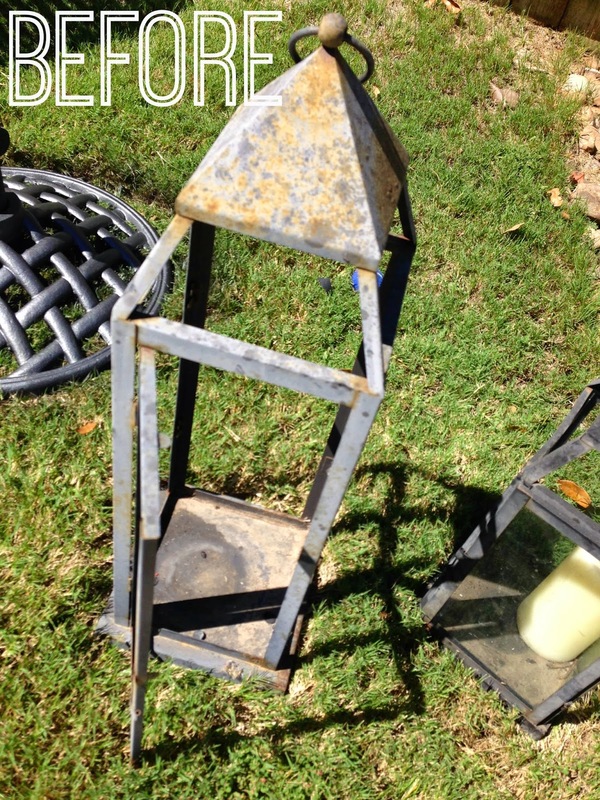 We had enough paint leftover to give our rusty lanterns a makeover. FYI-the glass easily comes out to make painting a breeze. Glad I didn't throw these out in the trash! Those lanterns look amazing now! What a good idea! You've inspired me to repurpose my old items! These look so nice! Well done, Charity! 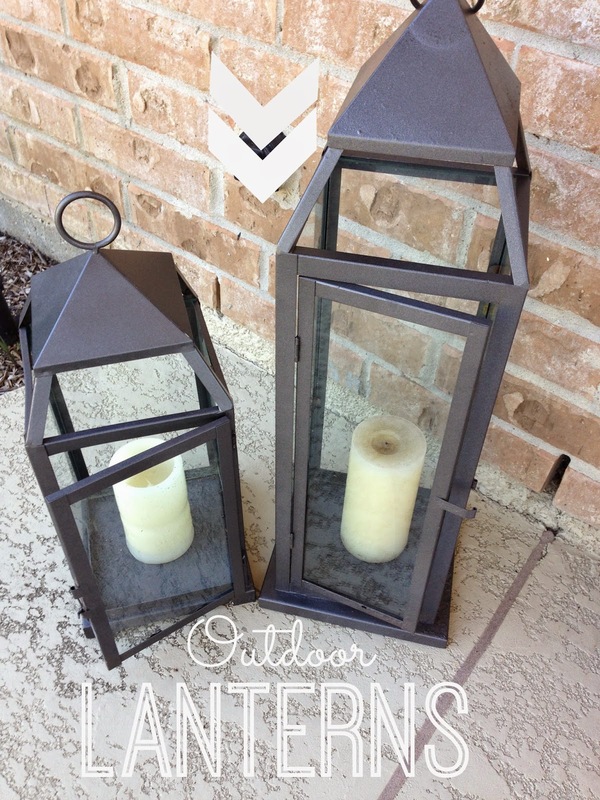 I love those lanterns too :) What a great outdoor space you have! The lanterns look brand new! Great job!